Lakes Orthodontics (Miami Lakes) - Book Appointment Online! Welcome to the office of Lakes Orthodontics, a leading orthodontic practice in Miami Lakes, Florida who also services the surrounding communities of Miramar, Pembroke Pines, Hialeah, Hialeah Gardens, and the Doral. 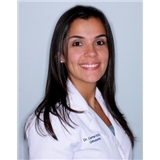 Dr. Carmen Briceno Crespi and her staff are committed to providing comprehensive orthodontic care for children, adolescents and adults. We look forward to the opportunity to help each patient obtain a healthy and beautiful smile and to deliver an enjoyable orthodontic experience. In our best efforts to provide all our patients with convenient appointments, we highly recommend that you call or email our office if you cannot find an appointment that fits your schedule. Dr. Crespi and staff are extremely professional. My visit was a consultation for braces. An X ray was performed followed by the consultation. Dr. Crespi was informative and straight to the point. Which I like. Once the assessment was completed the office manager provided braces and payment options. Very precise. I've seen several Orthodontics for a consultation. So far Dr. Crespi is my favorite. I have one more orthodontic to see. I'm almost certain I may stay with Dr. Crespi.